The aim of this module is to enable you to develop your theoretical, methodological and research skills to enhance your ability to conduct rigorous research and reach to sound analytical conclusions, which can form the basis for the development of effective service delivery in health and social care organisations. You will develop a thorough understanding of the principles, theory and epistemology of research and data analysis methods. Equal emphasis is given to the teaching of qualitative and quantitative research methods and study designs. More importantly, you will be guided and supported to conduct research in practice by developing a pragmatic research proposal for an applied research project. 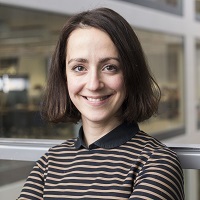 Dr Charitini Stavropoulou joined City University in September 2014 as a Senior Lecturer in Health Management, in the School of Health Sciences.